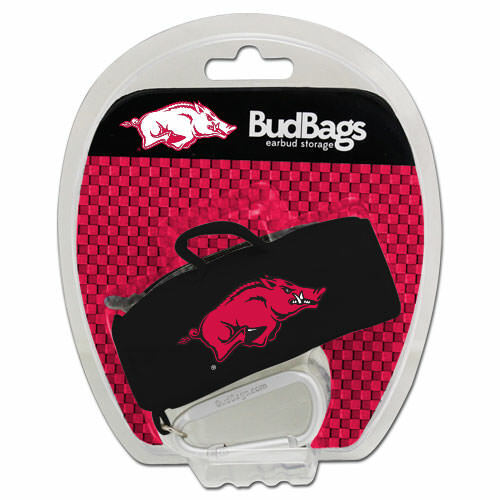 Arkansas Razorbacks BudBags are the best way to keep your earbuds safe and tangle free. 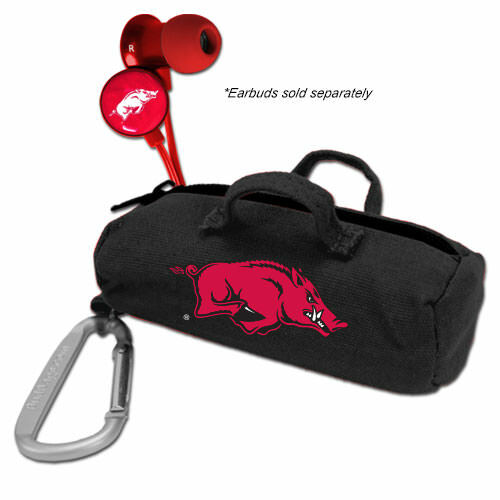 Made of canvas and featuring the Razorbacks logo, the mini-duffle bags are multi-use for any of your small things like keys, coins and more. 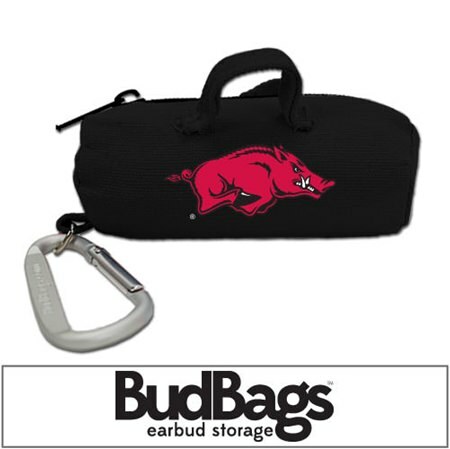 The connected carabiner lets you secure your BudBag to a key ring or strap.